AMAZING! BUT, Not a teen friendly book! 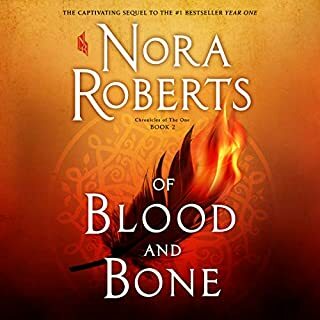 The number one New York Times best-selling series finale and sequel to A Discovery of Witches and Shadow of Night. Look for the hit series A Discovery of Witches streaming on Sundance Now and Shudder and coming to television this April on AMC and BBC America. 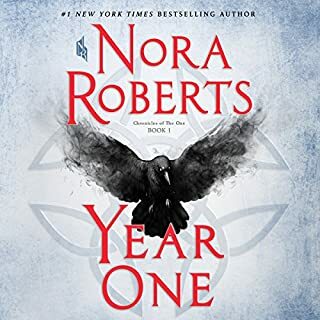 Bringing the magic and suspense of the All Souls Trilogy to a deeply satisfying conclusion, this highly anticipated finale went straight to number one on the New York Times best seller list. I'm a big fan of this trilogy. The relation between Diana and Matthew is beautiful. I love when the author find a way to close the premise and even though it was in the first book. Book with a lot historical facts. The end of this trilogy is a mourning for me but in the good way. It took me 4 years to finish this series! Not necessarily because I’m a slow reader, but perhaps more because of the way the life is. Many events and obstacles came in the way. Loosing one copy of a first book, then the second copy being taken/stolen by a lady at a bus stop. Odd indeed. This series had me in awe, stress, relief, laughter, and many other feels. I enjoyed it quite a bit. I’d say the whole trilogy gets 4/5 stars. There were a lot of good moments in the series. This book being the final one felt more longing and drier just to get to the end. There were moments which gave me a good boost. for that, I’m glad since it’s important not to feel like the story is dragging itself. Glad I stumbled upon this series. 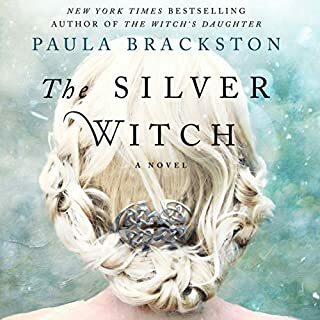 I have just finished this last book in the series and it was truly excellent! Both the story and the performance were the best I have listened to this year. Sorry the journey came to an end. Jennifer does a great job of bringing to life Deborah's characters. I would take the long way home listening intently. Thank you for taking me back in time. This entire series is must-have for anyone interested in history, fantasy, and fabulous writing! The narrator, Ms. Ikeda, has done a wonderful job of bringing these stupendous characters to life!!! Thank you to everyone involved, and most especially Ms. Harkenss for illuminating so many scenes so well! Devoured this trilogy! Jennifer Ikeda delivers a stunning performance, bringing Harkness' rich world to life. Ikeda's mastery of accents and tonal shifts to differeniate between characters is truly wonderful and just adds that extra layer of depth to these audio books. 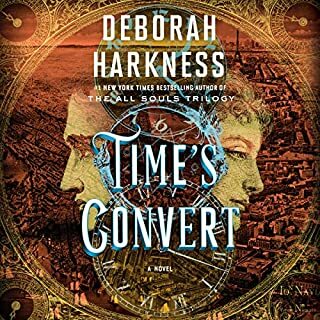 The book itself brings the trilogy full circle and to a satisfying conclusion while leaving it possible for Harkness to revisit this world and it's characters in the future. 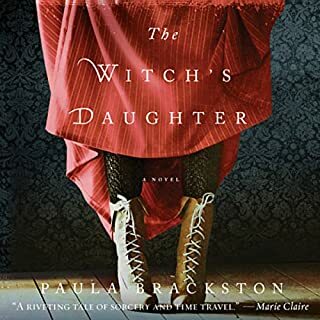 If you're a fan of paranormal fiction this series is a definite must have. 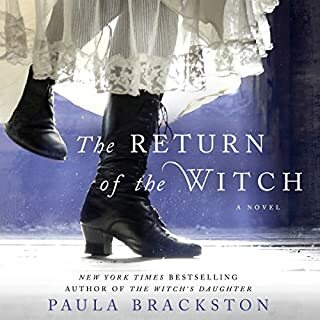 I really enjoyed A Discovery of Witches, and although I didn't like Shadow of Night quite as much, I had high hopes for The Book of Life. This book has gotten fantastic reviews, so it obviously works for most people. If you loved both of the previous books, you probably don't need me to tell you that you'll like this one, too. BUT. If you were beginning to have some doubts by book 2, you might want to save your money (or your credit) for something else. Characters move from city to city, discuss the incredibly urgent danger they face (but don't do anything about it), bicker, travel, drink tea, and discuss how possessive Matthew is about Diana. There is a seemingly endless review of vampire family politics and legal issues, and there is a huge cast of characters, although most of them are superfluous to the plot. Somehow Ms. Harkness made this all work in the first two books, but it felt to me like she had lost the rhythm and pace of the story in BOL. There is too much telling, not enough doing; too many plot points that go nowhere. There are many conversations that cover ground that has already been tread and retread in earlier chapters - I felt totally bogged down for the first 18 hours or so of listening. I so wanted to enjoy this book! I found the first two difficult to put down, but this one was all too easy to set aside. The ending was fine, but I'm still not sure it was worth the tedious slog through 20+ hours of listening to get there. 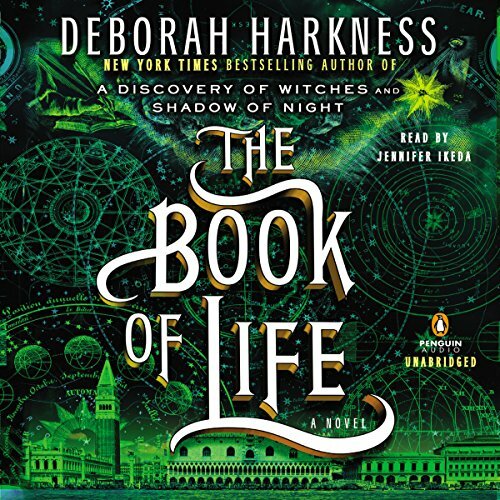 Where does The Book of Life rank among all the audiobooks you’ve listened to so far? I was waiting (not so patiently) for this book to be released. 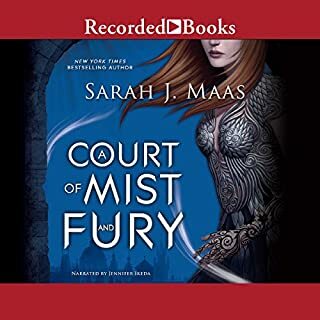 Overall, it was good - not amazing like the two previous books in the series. The characters lacked the depth this go around and it affected the quality of the story. Some loose ends still remained at the end and the second half felt rushed. I would have loved a more complete and flushed out ending. The performance was okay. I love Jennifer Ikeda so much that I will buy an audio book based solely on the fact that she is the reader. The was some serious continuity issues with her characters from the previous books. A big one was Gallowglass. I cringed every time he had dialogue. I had to switch over to my hard copy of the novel cause it got so frustrating. Very disappointing. What did you like best about The Book of Life? What did you like least? I was REALLY looking forward to the third installment of this series. I started reading two years ago and like many I have been eagerly awaiting this book. Even with my anticipation high, I genuinely feel that I went in with an open mind. 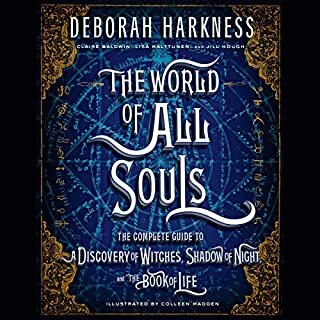 Given Deborah Harkness is new to novel writing, and the discrepancies between book one and book two, I was prepared for a few inexplicably changed plot points (such as Phillipes blood song). However I was shocked at the holes left behind, questions left unanswered, stories left unfinished, and blatant use of "hand of god" problem solving technique. In a good novel or series, nothing is written in that isn't useful to the carrying out of the plot. I felt that every single time a problem arose in this book a new character was introduced to solve it. I desperately wish Mathew could have been the killer instead of the Damsel in Distress. In every book Harkness mentions how dangerous he is... she repeatedly stresses this. Yet over and over he puts himself in to dangerous situations, which always are avoidable, and that come perilously close to his death. Inevitably Diana has to swoop in and save the day. I hated the ending. I wish that ultimately that he had asked Diana for help so they could work together as a team. This should have been a story of Mathew overcoming his ego, as well as Diana her fear. was a bit disappointed in Galloglass in this book, don't understand why he didnt sound the same as last book. Could you see The Book of Life being made into a movie or a TV series? Who should the stars be? All i can say is that the writing is so poor in this last book that making it into a movie can only make the plot better. That movie almost has to be better than the book ---something i've long believed impossible. I vote for Mathew Lewis as Marcus. I'll definitely give Deborah Harkness one more try if she writes again... however.... i'll go in with a grain of salt. 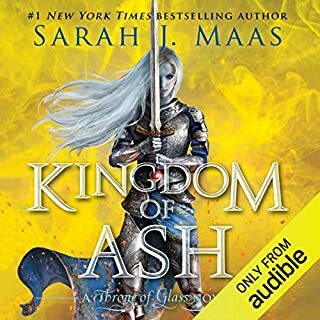 I was totally prepared to love this story, had been waiting as everyone for two years for it to come out, and now I agree with the readers/listeners who were disappointed by the story, as well as the narration. 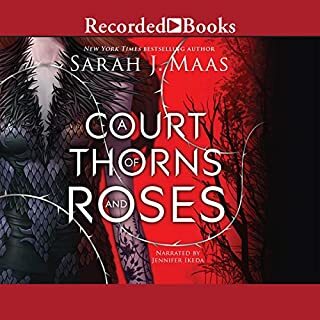 First, the narration...I don't know about anyone else, but I was annoyed in the first two books, and now so much more so in the third with how whiny Diana always sounds. I found it very hard to take her seriously as a strong independent professor, witch, or teacher. 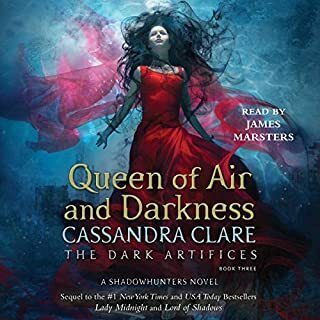 I thought Ms Ikeda did a fairly admirable job in the first two books with Matthew, and Hamish, but this third book had Hamish and Gallowglass sounding the same as each other, sometimes sounding female, and sometimes male, always sounding awful. 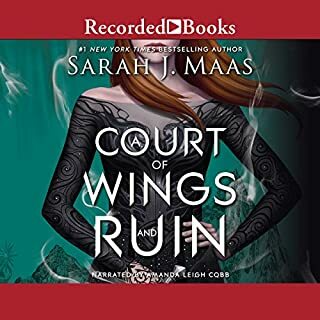 Not to mention that awful screeching that is Sara...I wondered through the whole book if I would like the story any more if I was reading it instead of listening. The story as well felt like it had huge holes in the story, so many inconsistencies I could not even begin to count them, and the addition of Phillipes and Em's ghosts was just ridiculous...no point, except to be able to send out a preview of the "First Chapter!!!". I almost quit reading sometime during the interminable boorishness of Diana's pregnancy and Matthews "need" to be in New Orleans sorting things out...seemed a contrived reason to have them apart and bring them back together at the nick of time. Do you think The Book of Life needs a follow-up book? Why or why not? What disappointed you about The Book of Life? 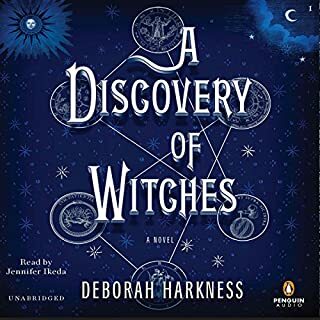 I was drawn to A Discovery of Witches for its theme of magic and its connection to Diana's journey of self discovery. 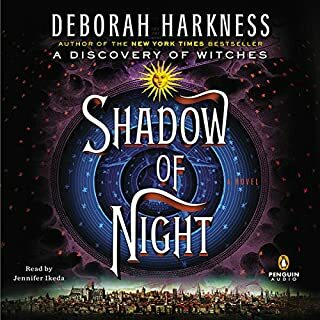 In Shadow of Night, I felt that the author wanted to use the book as a history lesson to readers on her point of expertise-Elizabethan England. I accepted that at the time because I know middle books are often slow. I'm not going to take the time to review each book individually so I will indicate that my rating of Shadow would drop from a five star of the first book to a three star. I also wasn't too disappointed with Shadow because I hoped that The Book of Life would be a wow, wrapping up the series with a bang and returning the story to the powerful level I had seen the author capable of in Discovery. I saw no indication that it would become merely what I now wonder isn't just a set up piece for a sequel.The background information that was so pleasing in the first book became tedious by the third, with endless detailed descriptions of wall coverings, furnishings, paintings and clothing. Finally, having become attached to the main characters, I think there can be a point of “too much information” about them. The birth of the twins was, for my taste, too much intimate and excruciating detail. I'm sorry to say that I would only give the final volume two stars. While it does tie up some plot points, it leaves significant ones unfinished and even creates new ones. 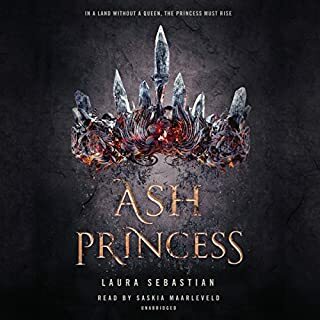 (***spoiler alert ***) Examples of those include the disappearance of Gallowglass, the unresolved question of Phoebe becoming a vampire and the journey of Cora. The Firedrake talks of Diana having “brought the magic back” yet that idea is not more fully developed. I was disappointed that, after all the build up to the Congregation meeting about ending The Covenant, the meeting itself is not covered in the book. The author lost a good opportunity to cover the evolution of the creatures as they struggle to move past old beliefs and learn to deal with each other in new ways. Indeed, there is very little evidence of “old worlds die and new be born” in the conclusion to this series. Diana becomes fully herself but then doesn't use that power after saving Matthew from Benjamin. Indeed, her life seems to go back to her previous “normal” existence as a historian, except for the addition of Matthew and her children. Despite the return of the arrow to her, there is no indication of how she will use her vast magical abilities. Also, there was no progress on the issue of exposing more than a limited handful of humans like Chris to the presence of witches, vampires and daemons. If The Book of Life does turn out to be a set up piece for a future series, I hope the author would use it to explore some of the missed opportunities of this volume. I think the response of a reader to a book directly relates to what he or she is looking for in it. If you are mainly interested in romantic relationships and colorful settings, this is probably the series for you. If you are more interested in magic, lasting character development and the journey of an ensemble cast of characters in achieving an important mission, you may find it less satisfying. When Diana releases the last of her fear and comes fully into her power. The author hasn't lost her colorful writing ability but didn't direct it into powerful plot development. I don't know why this happens, but lately every trilogy I read, the last book has been terrible disappointment. This one less than some and still it left me wondering wtf?! Characters were inconsistent, story wobbly and the ending blah. Oh well, Ill just stay away from trilogies from now on, but if you enjoyed the the first two books and must find out what the hell was the book of life, prepare for a mild, if not stronger disappointment. I was hooked on the AllSouls series from the first chapter of the first book. The story and characters are engaging. The details, both historic and scientific, are credible. The dynamic of the relationships among the characters is honest and contributes to building characters that seem real; people you would really like to know. Even the villains are believable in their own psychotic way. 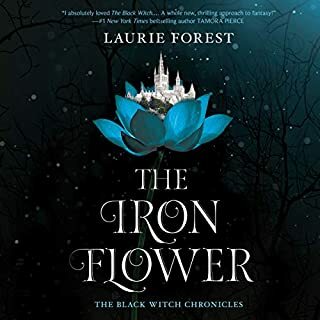 Thus, when i began listening to Book of Life I worried that the author might not be able to recreate the same rich experience as the first two books. Shame on me for the lack of faith. This third book in the series soars. It is the best of the series, fulfilling the promise of the first two books and then some. My only frustration with the book is that this is supposed to be the finale of the series. I want more! 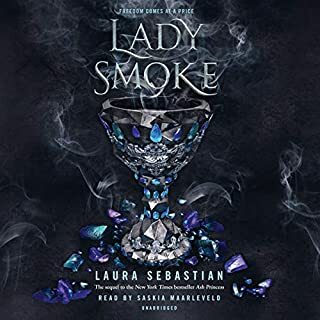 The narrator is excellent with a full range of voices that bring the characters alive and contributes to the overall experience of the story. I found this series to be slow and hard to get into. I finished it only because I have a need to know how to plays out even though I found myself caring little about any of the characters. if anyone else is looking at this series as anything other than a love story, I say move along. 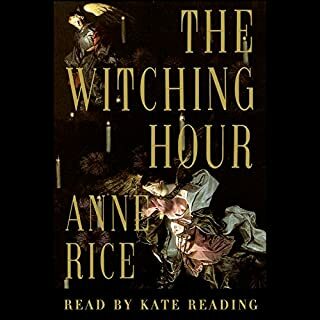 I came for witches, magic, vampires and the like... and really only this book of the three even had an actual antagonist. I enjoyed the narrator through all three, but the material was forgettable. One smudge on a good story. Lackluster final fight but overall very good story and impatient to read the next triology.